Indonesian citizen, she has been serving as President Director of the Company since May 2013. Ms. Dewi Mandrawan graduated from Economic Faculty majoring in Accounting from University of Trisakti, and currently she is a Senior Associate of The Australian & New Zealand Institute of Insurance and Finance (ANZIIF – Senior Associate), Certified Insurance Professional (CIP) and also a member of The Health Insurance Association of America (HIAA). She began her career as an Auditor at a public accounting firm in 1988 and for the period of 1992-1994 as Internal Auditor at PT Daya Patria Corporation. In 1994 she joined PT Asuransi Dayin Mitra Tbk as Controller Manager and later as Marketing General Manager until 2004. 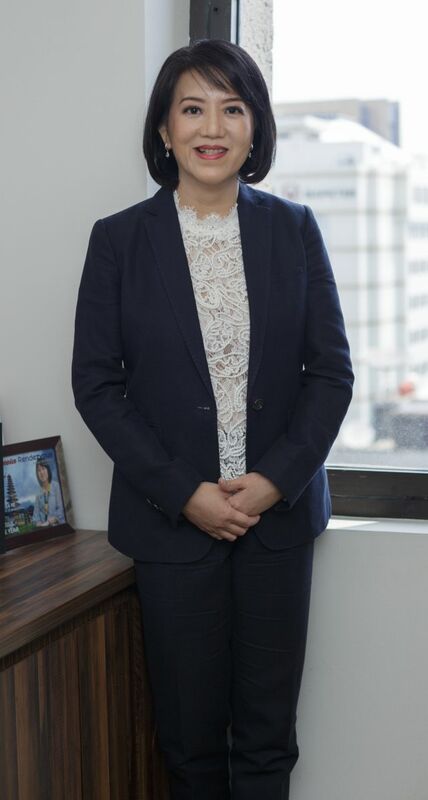 Between 2005–2009 she was the Associate Director of PT Jardine Lloyd Thompson, and later rejoined PT Asuransi Dayin Mitra Tbk and appointed as Technical Director in May 2009. In 2013, she was awarded as “The Most Social Insurance CEO” from Indonesia Insurance Award and “The Best Rising Star CEO” for CEO Insurance Company in 2014. She is currently the member of the Technical Committee of the Consortium of the Development of the Indonesian Insurance Industry – Terrorism and Sabotage (KPIAI-TS). Indonesia Citizen, was born in Bogor in 1966. He began his career as an auditor at public accounting firm “Johan Malonda & Partner” from 1987 – 1992. He earned a Bachelor of Economics majoring in Accounting from University of Tarumanagara in 1989. He joined PT Asuransi Dayin Mitra Tbk in 1992 as Accounting Assistant Manager, then in 1994 he was promoted as Internal Control Manager and later in 1996 promoted as Finance and Administration General Manager. Based on the result of the annual GMS on June 19, 1997, he was appointed as Director of Finance and Administration. He actively participates in seminars and workshops, such as Investment Seminar organized by the General Insurance Association of Indonesia (AAUI) entitled Addressing the Influence of American Economic Policy to Market 2017 and Investment Strategy Facing the Rule of Financial Services Authority (FSA) number 69 in 2016, and also participated in The 4th International Conference On Global Insurance organized by the Association of Insurance Management Indonesia (AAMAI). In 2015, he also has passed the evaluation and fulfilled the qualification of Insurance Company Risk Management Level 5, organized by the Association of Insurance Management Indonesia (AAMAI) and has obtained a certificate of competence in the field. Indonesia Citizen, was born in Cianjur in 1960. He graduated in 1986 from University of Trisakti majoring in Electrical Engineering and began his career as Sales and Application Manager at PT Mecotra Permai (Mining Equipment Distributor of Ramsay Engineering Australia Pty. Ltd) from 1986 – 1988. 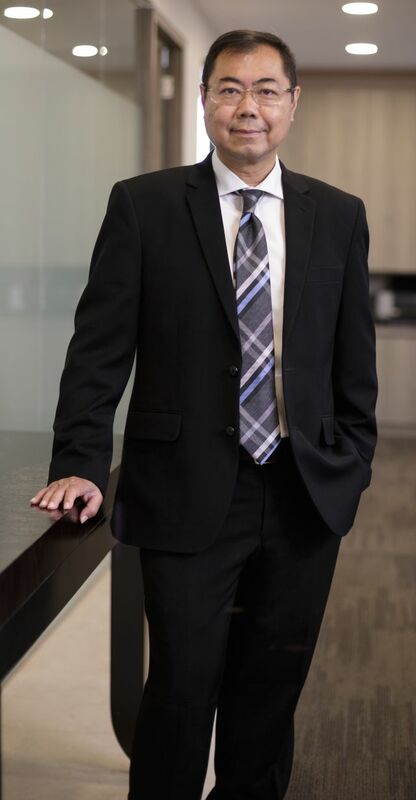 He began his career in Insurance industry when joining PT Asuransi American International Underwriters (AIU) as Underwriter & Risk Management Surveyor from 1988 – 1990. Afterwards moving to PT Asuransi Danamon as Senior Manager of Underwriting, Reinsurance and Risk Management from 1990 – 1997. In 1997, he joined PT Asuransi Dayin Mitra Tbk as Branch Coordinator Manager, and later in 2002 was promoted as Marketing General Manager. 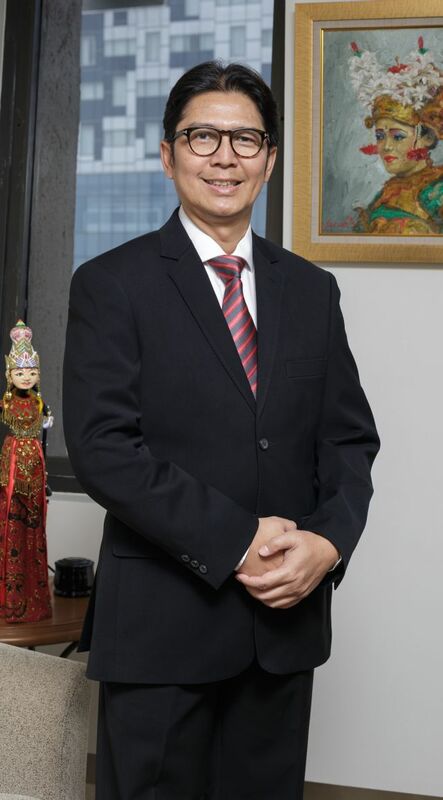 In 2004 – 2006 he continued his career at PT Lumbung Sari Broker, an insurance broker company as President Director and rejoined PT Asuransi Dayin Mitra Tbk and was appointed as Marketing Director based on the result of the annual GMS on June 30, 2006. Since 2007 until now he has been admitted as a member of ANZIIF (Assoc) CIP (Associate of The Australian & New Zealand Institute of Insurance and Finance, Certified Insurance Professional). An Indonesian citizen, born in Palembang, South Sumatera. He holds a degree as Dipl.-Ing., which is Master equivalent of Technische Universitaet Berlin, Germany, majoring in Electrical Engineering in 1983. In 1985, he graduated from the Technische Fachhochschule Berlin, Germany, majoring in Industrial Engineering and obtained a degree as Wirtsch. Dipl.-Ing. 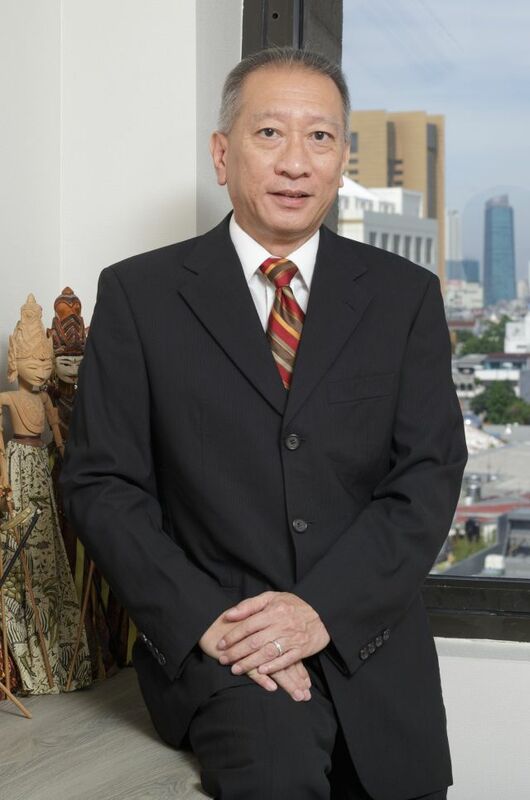 He started his career in insurance as PT Insurindo Loss Adjuster Adjusters in 1987 – 1989. Then he joined PT Asuransi Allianz Utama Indonesia as Assistant Claims Manager in 1989, until appointed as Deputy Managing Director until 2011. He has also served a Commissioner of PT Asuransi Allianz Life Indonesia in 2008 until 2011. 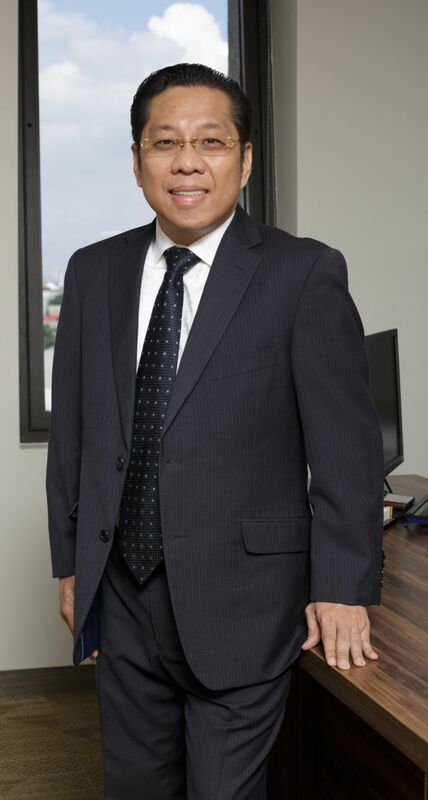 In early 2012, he was appointed as Managing Director at PT MNC Asuransi Indonesia, as well as the Commissioner of PT MNC Life Assurance in 2014 until 2015. Starting joined PT Asuransi Dayin Mitra Tbk in January 2016 as Chief Technical Officer and he was appointed as Technical Director of PT Asuransi Dayin Mitra Tbk based on the results of the Annual GMS on June 27, 2016 and on June 14, 2017 appointed as Independent Director. In 2001, he was listed as a senior member (Senior Associate) of The Australian and New Zealand Institute of Insurance and Finance (ANZIIF) and achieved (Fellow) ANZIIF level in 2004. In 2013, he awarded as “The Most Artistic Insurance CEO” from Indonesia Insurance Award and he was trusted over to receive an award as “The Most Will Power CEO” from Indonesia Insurance Award in 2014. Indonesian citizen, born in Jakarta 1970. He studied Finance and Banking subject at Financial and Banking Institutions in 1988. He started his banking career as an Account Officer at one of national private commercial bank in 1991, and he was appointed as Marketing Manager in 1994. In 1996, he was appointed as the Branch Manager and before he joined with PT Asuransi Dayin Mitra Tbk in 2005 as Marketing Deputy General Manager, he served as Director of PT Lumbung Sari Insurance Brokers from 2003 to 2005. In 2013, he was promoted as Marketing Deputy Director and he was appointed as Marketing Director of PT Asuransi Dayin Mitra Tbk based on the results of the Annual GMS on June 27, 2016. He was listed as a member of Certified Insurance Professional (CIP) Associate of The Australian and New Zealand Institute of Insurance and Finance (ANZIIF) In 2012. He also actively follow various seminar among others of Munich RE Singapore, Marsh Broker Singapore and Crawford Adjuster, etc.